Designed for families who want more for their kids than just dance and competitions . . .
1. SELF-CONFIDENCE: Dance instills in your child a confidence to step into the spotlight. 2. TEAMWORK: Though it is not often viewed as a team sport, dancing in a group is a very collaborative activity. 3. PHYSICAL ACTIVITY: Dance incorporates stretching, creative movement and improves coordination & stamina! 1. SELF-WORTH: Develop strong sense of self & worth to deal with difficulties. 2. CHALLENGE MANAGEMENT: The purpose of the Life Skills portion of the Academy is to help youth develop skills and tools that will improve self-esteem and help them manage life’s challenges. 3. PREPARING FOR THE FUTURE: Approaching important topics facing youth in a fun, relatable setting. 1. FLEXIBILITY & PROBLEM SOLVING: Youth learn how to think quick & how to be flexible. 2. CREATIVITY & IMAGINATION: Let loose, make creative choices & view things from different perspectives. 3. FOCUS & COMMUNICATION: Listen to each other’s thoughts and ideas, take turns and focus. The Academy is a place where youth learn & build confidence by sharing & supporting each other in our 3 Building Blocks: Dance, Improv & Life Skills. If you’re looking for a unique way to motivate your child, to inspire them to push themselves, make new friends and have some fun – this is the program for you!  The Academy is run by several of 3sb’s top educators and mentors and a team of specialized coaches and professionals from our community partners. Providing coaching in improv, acting and stage performance. Offering tips and technique to improve self expression, imaginative play, team synergy, confidence, self esteem, leadership, etc. Will also be providing performance opportunities in their annual kidprovisation, chimprov and citadel showcases. Founded by Talia Adler and Ali Masse, professional hip hop dancers with Psychology degrees and registered social workers. They have created a specialized 2 month curriculum focused on improvisational dance exercises and meditation. Our focus and intent is in helping dancers grow, while fostering their confidence, performance, and creativity – both in their dance and personal lives. Fuse will utilize dance as a means for expression and to boost creativity. They will challenge students using live music, props and many other unique techniques built specifically for the Academy. Joseph Lacoste, blackbelt and owner of the Kensignton shotokan Dojo, is leading our anti- bullying module to empower students to fight back through self defense and empowerment. We will be taking 2 field trips in the year to other facilities that connect with the programming presented in that semester. The Royal Glenora Club will be one of these partners. DOES NOT INCLUDE DANCE INSTRUCTION.